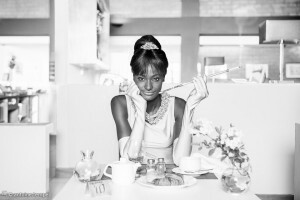 ONOMOllywood, is a project that challenges our perceptions of race in classic films. Unfortunately, looking back at the well-known classics brings to mind protagonists who are almost exclusively white. But Dakar-based photographers, Omar Victor Diop and Antoine Tempe, are changing the way we think about this. The two chose to use cinema because they believe it to be the most universal form of art. Through using it they hoped to transcend barriers of race, geography and culture. However, after an interview with CNN, there was a backlash the photographers didn’t anticipate. Diop never expected the ‘race war’ that had begun. Nevertheless, the two are pleased to have started a conversation between continents. This entry was posted in Culture, News and tagged art, ethnicity, film, News, race. Bookmark the permalink.